Aside: for statisticians, the probability is 22%. Attorneys are a vital party in the AI discussion. 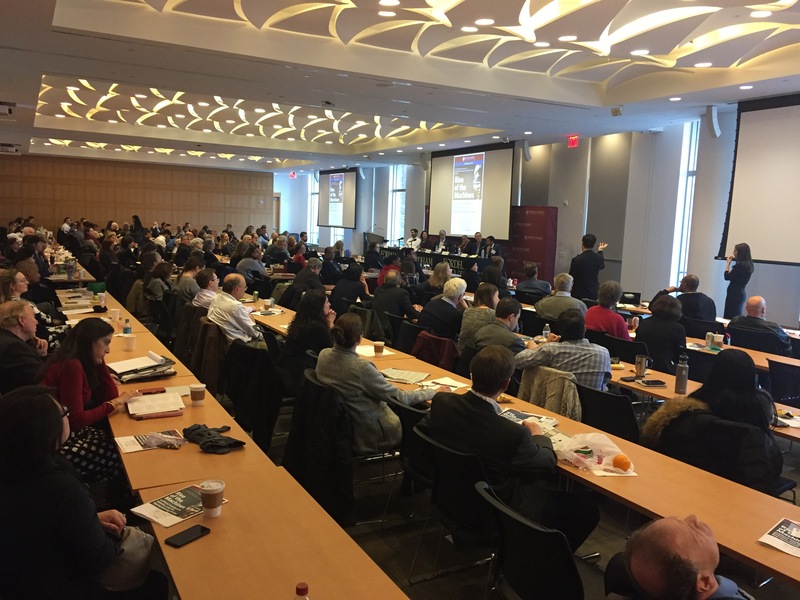 Fordham Law School in New York City held a symposium on February 15, 2018 entitled Artificial Intelligence, Robotics, and the Reprogramming of Law, which was free and open to the public. The event was recorded, and full proceedings will be published in Fall 2019. Example: European regulation spans over 2000 pages long. Determine whether AI is really different. Is there such a thing as “AI Exceptionalism”? Or can we utilize existing laws? Huu Nguyen, a computer scientist-turned-attorney states: We as programmers, lawyers, are ALL RESPONSIBLE. Let’s figure out how to deal with it. Law students [are the next generation] and they will deal with what is next. Cyber policies exist, but no one is following them. More engagement would be good. Nguyen shares the example of a coffee maker with AI capability. If the coffee made by this machine is too hot and burns the person, who is liable? Presented by Solon Barocas, Professor of Information Science at Cornell University. Anti-discrimination laws in the US have generably been ineffective. If a group of people is being excluded, ask this other question: Why aren’t people in this group? and examine those causes. Publish code, let experts look at and study code. Felten says all of the proposed approaches above are weak. He suggests designing a system that is analyzable and governable. If we think that algorithm decisions are legitimate, we will continue to let those algorithms be used. But, what makes us feel that these decisions are legitimate? Once humans are removed from decision making process, legitimacy in algorithms drops. And yet, people generally feel more comfortable with algorithms. Consumers are not well educated or informed on AI, and this contributes to the lack of policy advancement. The AI ecosystem is complex. 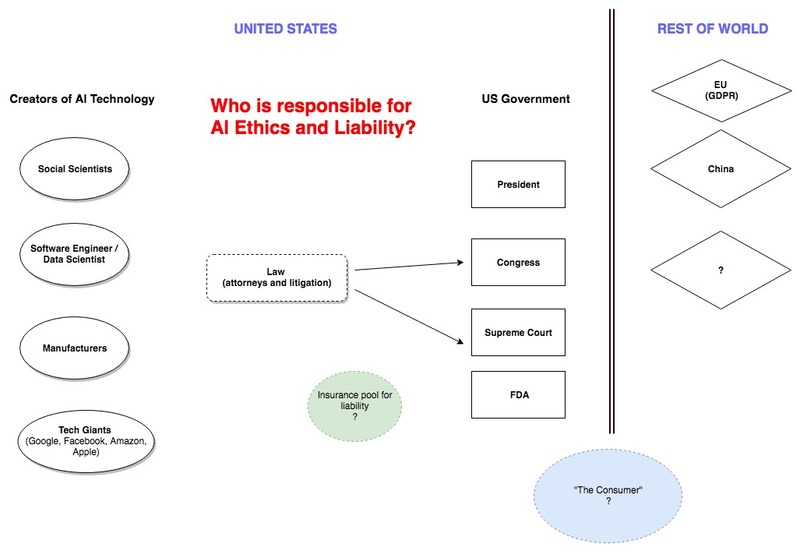 Therefore, methods of addressing AI harm and liability are also complicated. Cross-border policies need to be considered because the scope of AI is world-wide. In summary, everyone is responsible for AI technology. It is not clear when regulation will be developed. The expectation is that significant changes in AI policy will be developed when loss of life occurs.